Once relevant pro wrestler and former WWE superstar Kurt Angle is angry and vented his frustrations on Twitter. 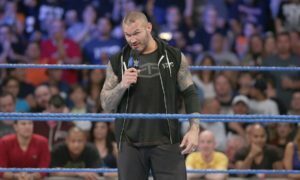 Relevant pro wrestler and current WWE superstar Randy Orton didn’t waste time pointing out the hypocrisy in Angle’s tweets. Kurt Angle is upset and seems to feel disrespected that several different WWE superstars used “his moves” at WrestleMania 27. Angle sent out the following tweets during and after WrestleMania 27. Editor’s Note: Apparently you do. Editor’s Note: By getting arrested in North Dakota for being passed out behind a wheel allegedly drunk? Wow, seems like the guy has some serious issues. For a guy that didn’t waste any time using the same finishing move as Ken Shamrock when he was in the WWE he sure is sensitive. Quite frankly I think he is out of his mind. I have seen the Olympic Slam used in Japan many times before Kurt Angle used it in the WWE. I also tend to think that Taz used it as well in ECW although I am not 100% sure on that one. And oh yeah, by the way millions of WWE fans watched Ken Shamrock use the ankle lock weekly during the Attitude Era. 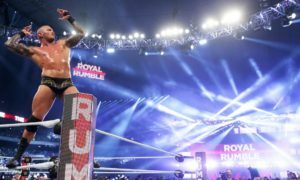 It didn’t take long for Orton’s former WrestleMania XXII foe to respond. Randy Orton apparently had the same thoughts most of us had reading Angle’s tweets. Orton tweeted the following in response to Kurt Angle. Kurt Angle sent the following tweet in response. I will say this about Randy Orton. I have never met the man but anytime I have read interviews with him or comments he made he sounds extremely logical and intelligent. Orton had a much more intense war of words with Ken Anderson online after Anderson left the WWE a few years back. Some could argue both ways whether Orton should respond anytime he is called out by someone who isn’t on the WWE payroll but I kind of like it. Additionally he always appears to make sense. Whining and moaning about someone “stealing your moves” is one of the lamest complaints in pro wrestling. Unless Kurt Angle invented pro wrestling, he is stealing moves every time he steps into the ring. He should send Verne Gagne a “Thank You” note the next time he puts on a sleeper hold, etc. It appears that Kurt Angle may be giving Matt Hardy a run for his money in the race to see who can make themselves look like the biggest idiots on Twitter. Getting upset over someone using a finishing move you used that you stole from someone is about as ridiculous as going on Twitter and telling your fans that your car hit an ice patch on a sunny day that resulted in your arrest.